The Cincinnati Reds might be without Joey Votto in the near future as the All-Star 1B is getting an MRI on his left knee. Votto had surgery on the same knee back in 2012 which limited him to just 111 games. 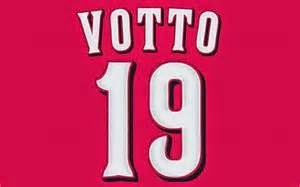 Votto is hitting just .257 this season, well below his .312 career average. He does have 6 home runs, but has just 12 RBI. Cincy is currently 18-21 and 28th in runs scored in the MLB. Jay Bruce is already on the DL but should be returning in the near future. Neftali Soto is behind Votto on the Reds depth chart. Soto has just 29 career Major League at bats.